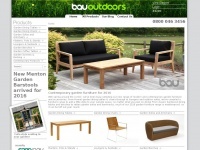 Contemporary garden furniture for modern outdoor spaces. 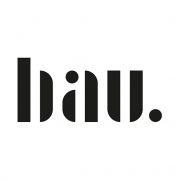 We combine natural materials & modern fabrics to create furniture that is beautiful & comfortable. 6. 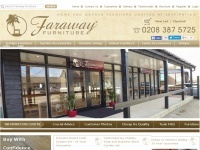 Gar­den Di­ning Chairs /pro­duct-cate­gory/out­door-fur­nitu­re/garden-dining-chair..
7. 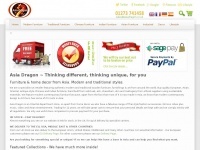 Gar­den Sofas & Armchairs /pro­duct-cate­gory/out­door-fur­nitu­re/garden-sofas-armcha..
8. 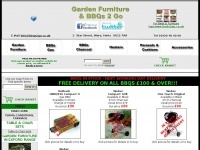 Gar­den Di­ning Tab­les /pro­duct-cate­gory/out­door-fur­nitu­re/garden-dining-table..
Bbqs2go.co.uk - BBQ'S 2 Go - Gar­den Fur­nitu­re - Bar­be­cue Grills - ..
Britannic-teak.co.uk - Britan­nic Gar­den Fur­nitu­re - Bes­po­ke Hardwood Gar­den ..
Asiadragon.co.uk - Asia Dra­gon | Orien­tal Fur­nitu­re, Home De­cor & ..